Jakarta (AFP) – Indonesia slams reported Australian spying as mind boggling. 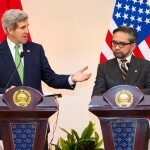 Indonesia Monday described as “mind-boggling” a report that Australian spies targeted Jakarta during a trade dispute with Washington, as a new espionage row erupted during a visit by US Secretary of State John Kerry. Ties between Canberra and Jakarta have sunk to their lowest point for years in recent months over previous allegations that Australian spies tried to tap the phones of Indonesian President Susilo Bambang Yudhoyono and his inner circle. Jakarta recalled its ambassador from Canberra and suspended cooperation in several areas, including on the sensitive area of people-smuggling, following the allegations. As Kerry visited Jakarta on Monday as part of an Asian tour, tensions flared over new espionage allegations in a weekend New York Times report, which said Australian spies targeted Indonesian officials during a trade dispute with the United States. The report, based on a document from US intelligence leaker Edward Snowden, said that the spies listened in on conversations about trade between the Indonesians and their US lawyers and offered information they gleaned to the US National Security Agency. 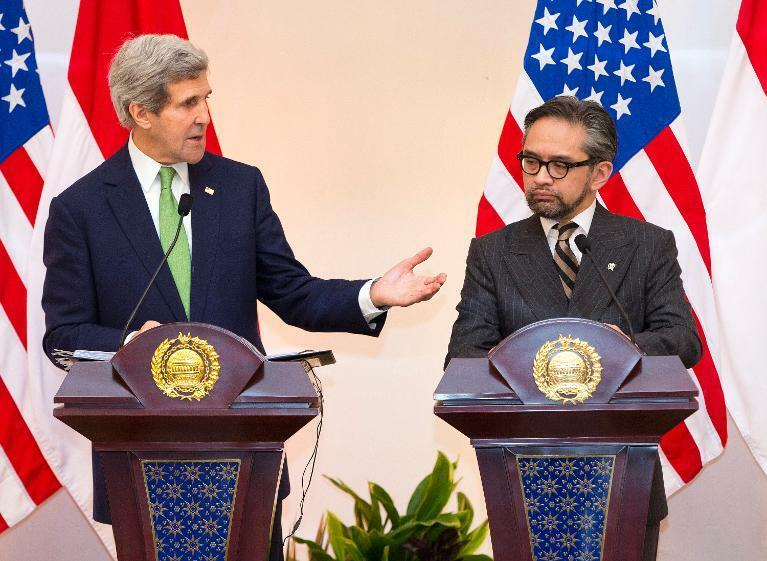 “I find that a bit mind-boggling and a bit difficult how I can connect or reconcile discussion about shrimps and how it impacts on Australia’s security,” Indonesian Foreign Minister Natalegawa told reporters at a press conference alongside Kerry.